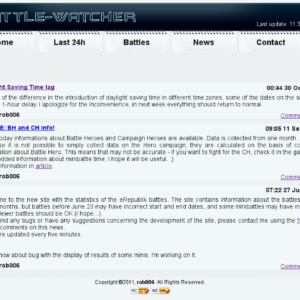 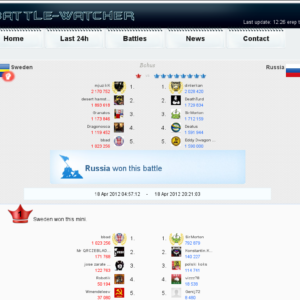 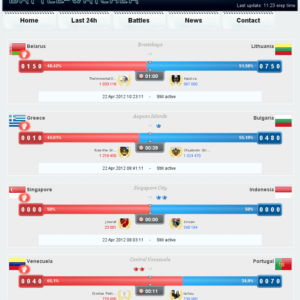 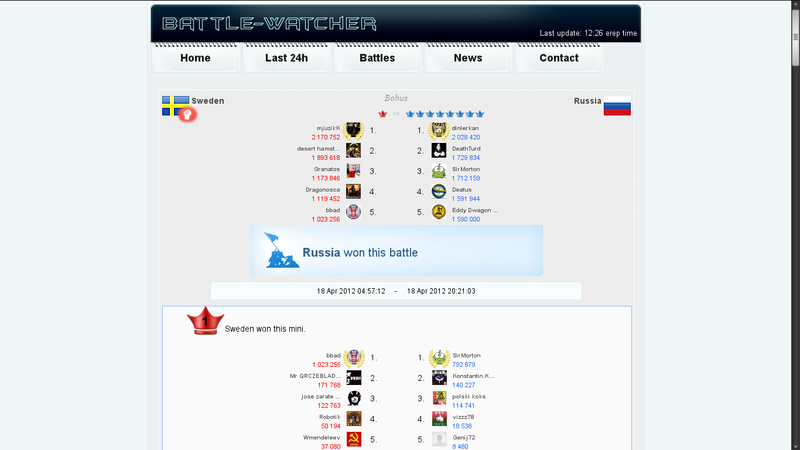 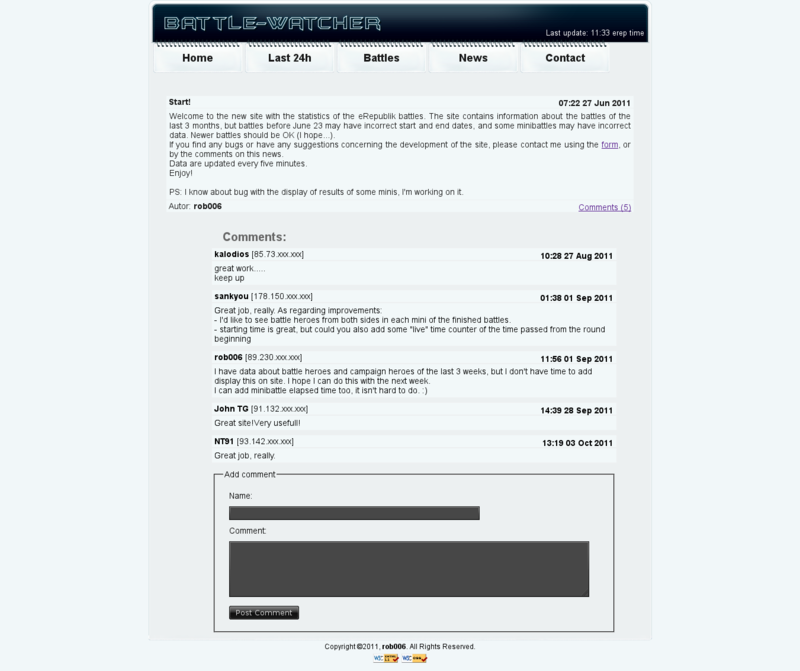 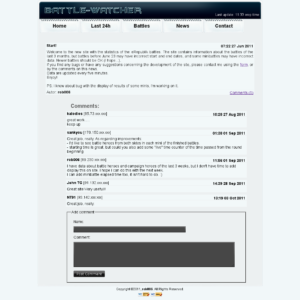 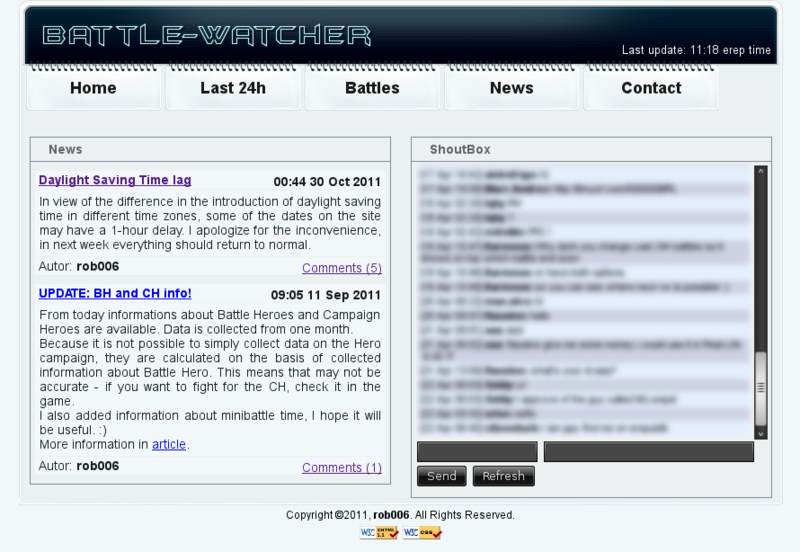 Battle-Watcher is a service collecting statistics of eRepublik browser game. 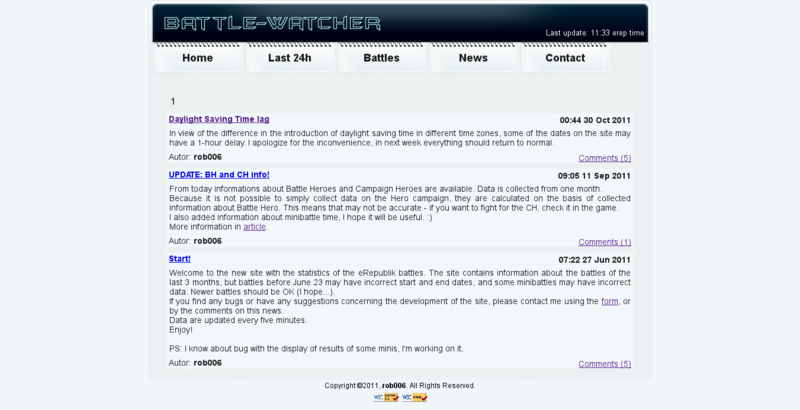 Every 5 minutes are collected information about the current state of battle, then stored in a database. 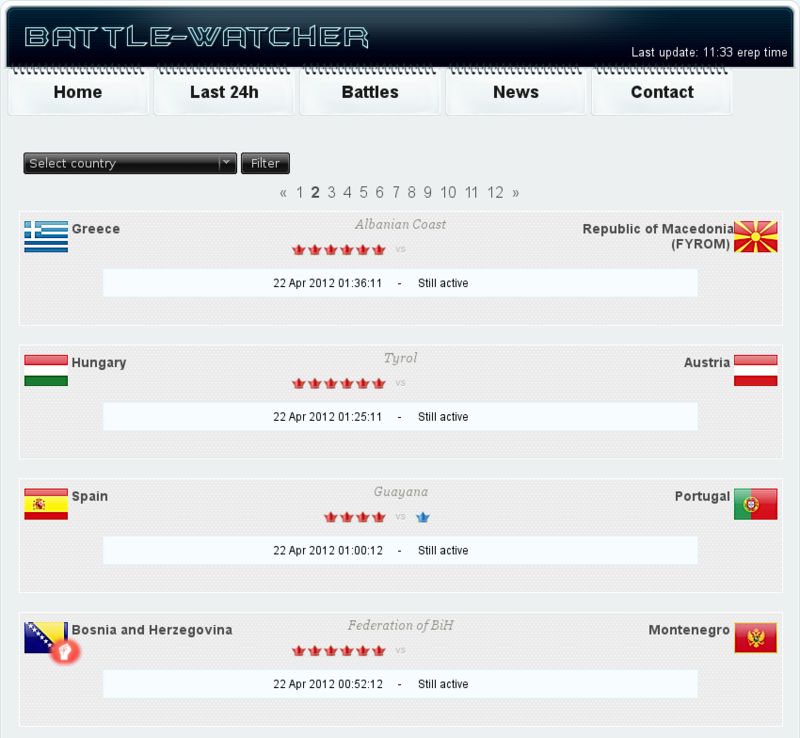 Service allows you to view a list of battles of the last 24 hours, along with their current status. 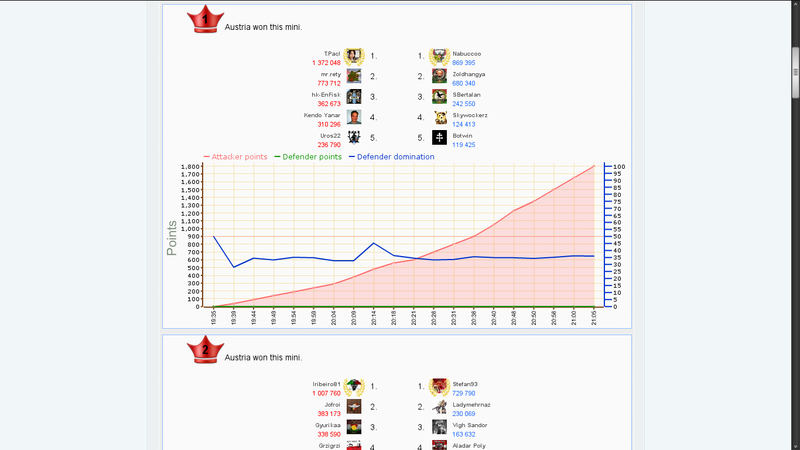 There is also information about the players who inflicted the most damage in the minibattle and total in the whole battle, and charts showing the history of each minibattle. 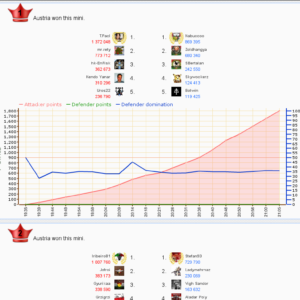 The data are taken from the API, and directly from the game. 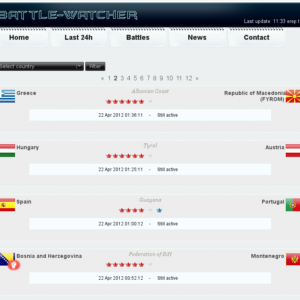 The service includes statistics from the battles of April 2011. 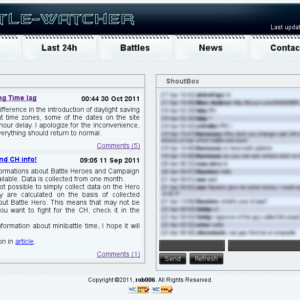 In addition the service provides a simple blog with comments and shoutbox.